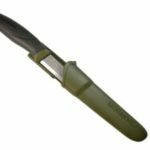 Bringing back another Morakniv carving knife to review which is actually a really popular knife among beginners. I removed some material for a bit to test out the edge retention after receiving it then moved on to carving an easy animal figure. 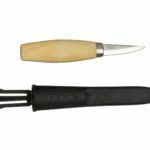 The Mora Wood Carving Knife comes with a 2.0mm thick blade that’s 3.14 inches long of carbon steel, the same blade that the Mora 106 uses, so it’s edge retention is pretty sharp. Although it came sharp, I did have to hone it for a couple minutes after cutting a couple pieces of wood, but after that it held an edge really well. 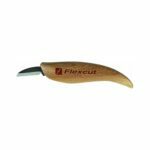 The blade is very narrow and easy to sharpen, and it definitely is a quality blade. 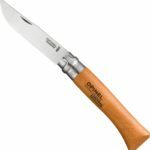 The handle used also comes from another Mora knife which is the 510. Since it is plastic it wasn’t as comfortable as the traditional wood handles like the 106 comes with. The blade isn’t centered in the handle, which doesn’t really bother me much but that’s just me. Do not twist the blade while carving. This adds a lot of stress to the edge of the bade and it’s certainly not good for maintaining a long edge retention. 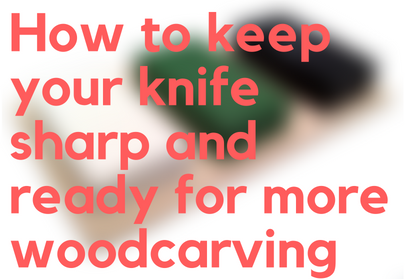 Instead, you’ll want to make straight push cuts and it will stay sharp much longer. If you find yourself doing this be sure to correct your mistake after sharpening it, which is very easy to do with this knife. A really obvious thing I noticed when getting the Mora was it’s fine tip. Some people prefer a drop point blade but an advantage this gives is making holes in your wood. Needless to say other detail work is really easy to do with its fine point. 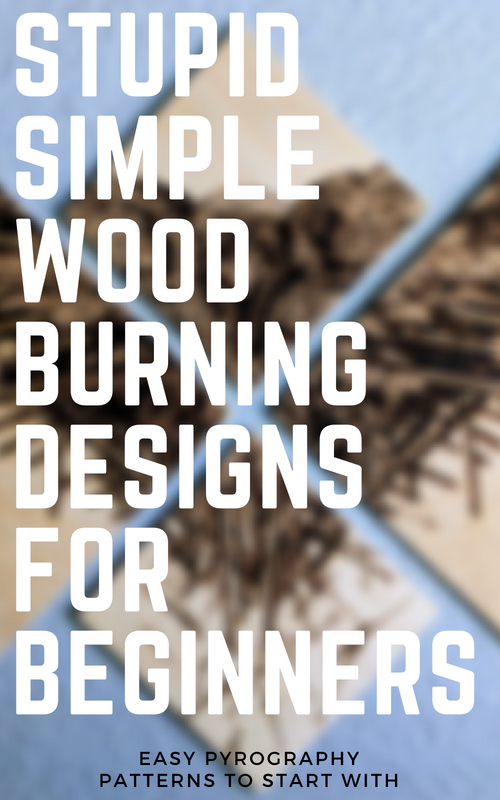 Something that becomes very apparent when buying tools for this hobby is that it can get expensive for the better quality products. While this is true it doesn’t mean that you should start out with the most expensive ones. 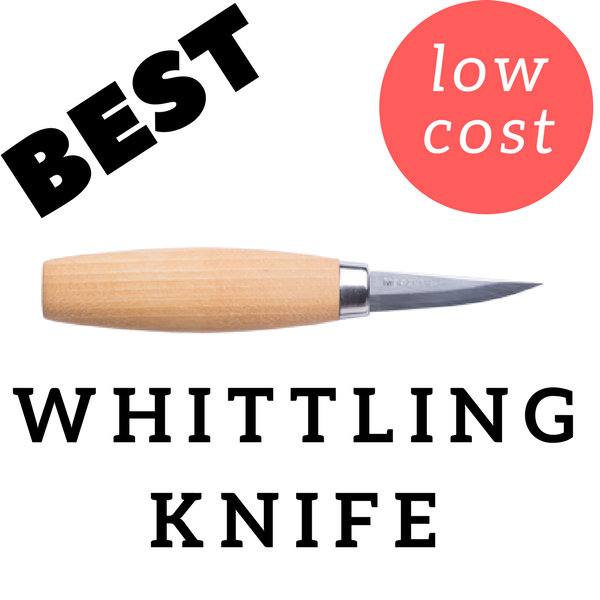 The basic Mora wood carving knife is one of the most affordable knives I have reviewed. 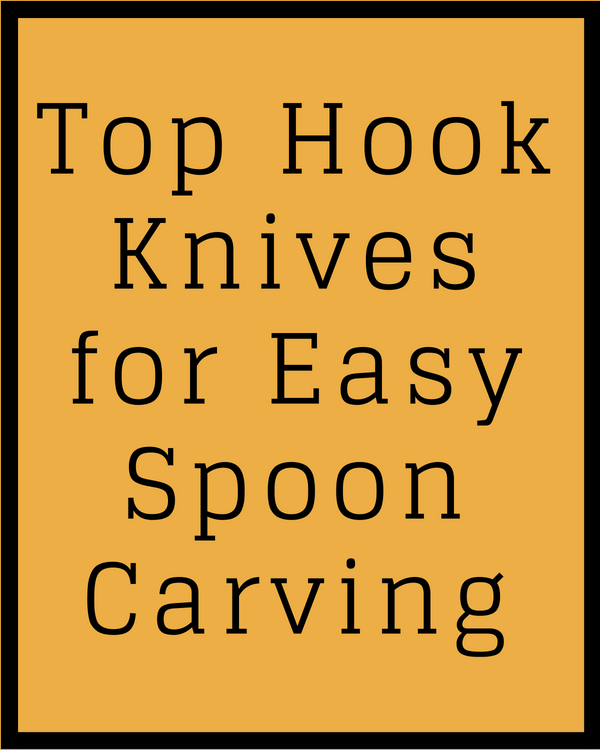 It is a good knife to begin with or maybe you’ve lost or had one of your pricier knives stolen and just wanted something to continue carving with while you save up for a better one. 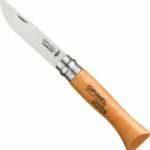 Great knife to start off with if you want to make small carving or if you’re saving up to get a better knife. I would recommend getting the Mora 106 since it isn’t that much more than the basic Mora, the handle is much more comfortable, and it’s edge retention is superior as well. 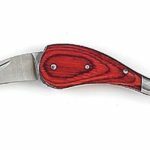 It also shaves off larger wooden material without stressing the knife.